If you`ve been following me for a while and you`re an Instagram stalker, then you`ll know I`m all about those Fall colours. I`ve even spend 50£ on Fall decorations, for the sake of #Instagoals pictures. I take my Bookstagram account very seriously and when I saw today`s Top Ten Tuesday, my heart skipped a beat. Autumn covers are my jam, so let`s get cracking. If the colour combination of these books doesn`t make you scream Fall, I don`t know what will. 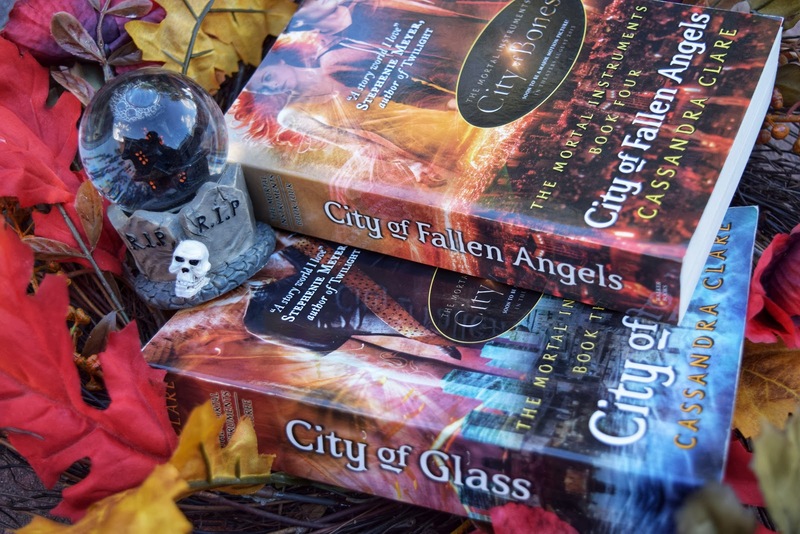 Whilst this is not my favourite series, I do enjoy the Shadowhunters world. Clary is the worst protagonist though, as you can see from my reviews here, here and here. I think most of us associate fall with pumpkins, apple ciders or pie, big blankets, etc. The first colours that pop into our mind are orange, burgundy, mauve. Again, these colours fit the theme. 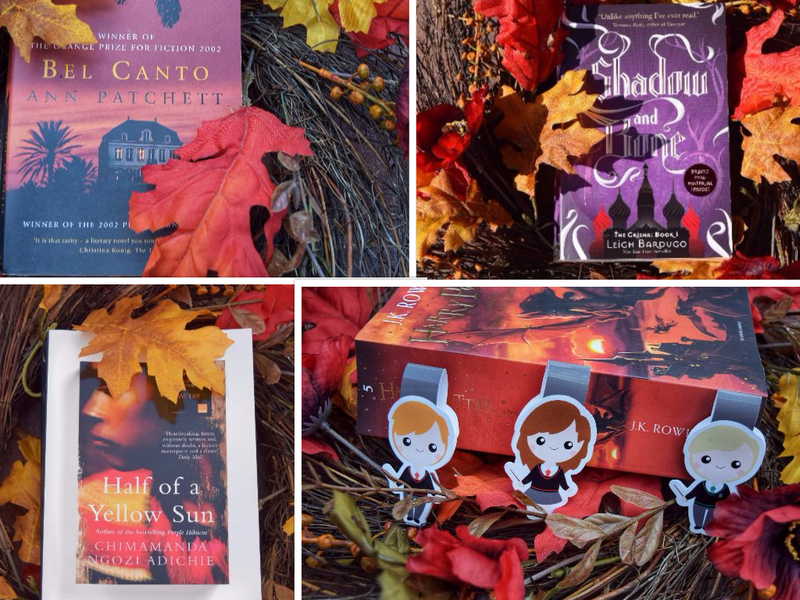 I am a bit wary about "Shadow and Bone", although that setting definitely makes me think of Autumn/Winter. Also, everybody has a Harry Potter readathon during these months, so I just had to include it. At the moment I`m (not so) patiently waiting for Christmas so I can get the illustrated edition of "Harry Potter and the Prisoner of Azkaban". Though I might just splurge and treat myself, as it is my favourite book in the series. When making a Fall Covers list you have to include some creepy/spooky books. Because it`s Halloween and it`s perfectly acceptable to embrace your darkness. Or your Darkling, depending which is closest to you. 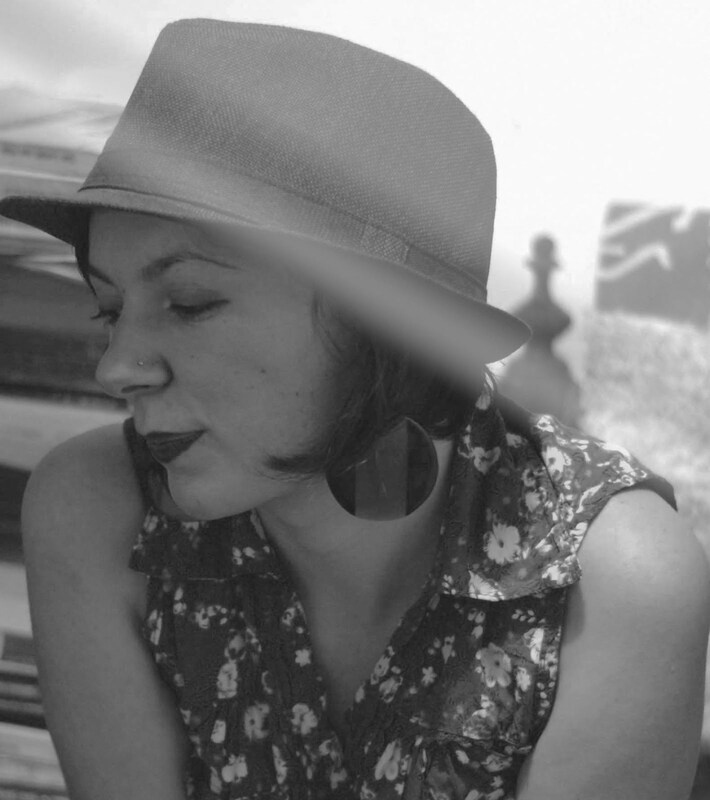 The weather is moody and you finally have an excuse to stay at home and read. Not that you need one, but how many times can you say NO without being labelled as rude or weird? You`re probably well rested after your summer holiday and you realise you only have a couple of months to finish your Goodreads goal. Best motivation ever! I really hope you enjoyed this post, although it`s shorter than my usual ones. I think I might be catching a cold and my ramblings are not at my "Gilmore Girls" rate. The colors in your books all look very autumnish! Love that cover of A Feast for Crows! And pumpkin lattes- yum! Pumpkin spice lattes are my weakness, I spend a ridiculous amount of money on them. Oups! I dont know why but I love reading winter romances this time of year. 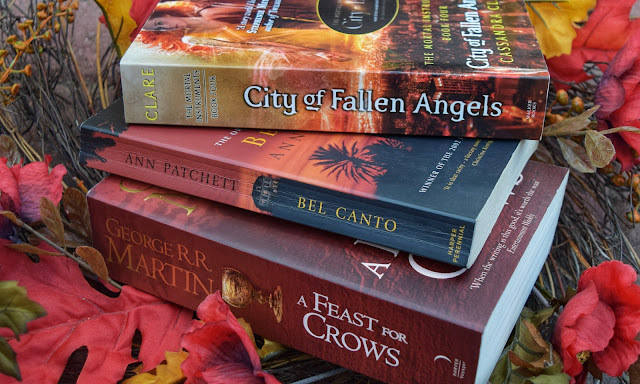 these sound like great books for fantasy lovers. 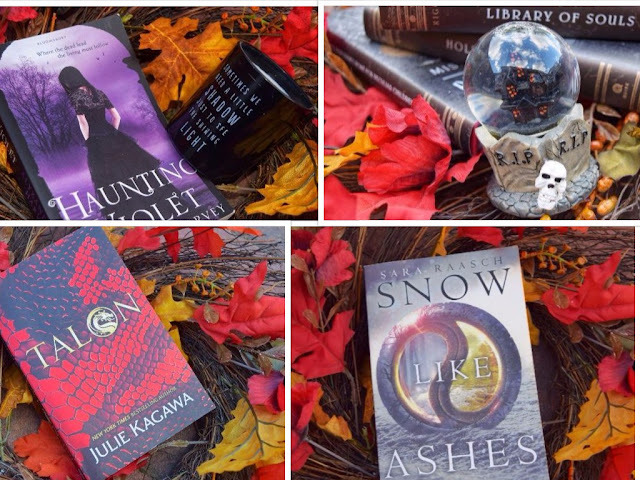 Snow Like Ashes is the only one I've actually read, but I love the fall vibes of this post! So many pretty fall looks and decor (and you're not alone in buying things for bookstagram pictures - I do this all the time :D). So good to hear I`m not alone in my ridiculously prop decor purchases.